Vinyl windows will be your most cost effective option when it comes to replacement window projects, however even these have a wide range of costs. A vinyl window typically costs anywhere from $150- $2000.00 a unit installed. I realize that is a tremendously broad range and explains why so many people get really confused when comparing their window estimates or quotes. We are instructed to go out and get at least 3 different quotes to compare but then no one tells us how to read them or explain them to us. Even as a professional in the industry, I struggle to make sense of other competitor’s quotes or even to discern what is actually included in the quote. This is one of the greatest challenges when determining how to even decide what company to use for your window replacement project. This makes it really difficult to decide which quote is the best value for you as well. It is important to note that the style of window, installation method, features & options are all factors that will affect how much vinyl windows cost. A single hung (only the bottom sash of the window raises ) or double hung (the upper sash lowers as well as the bottom sash raises) vinyl window replacement project that is installed using the insert replacement method will be the most cost effective option. You can find this option as low as $150-$200 per opening for the low end vinyl and $600-$1000 an opening for a high end vinyl option. Be aware that most of the time, the inexpensive window deals do not have the same energy efficiency glass that most windows have as a standard option. Rather than having the Low E & Argon gas as the standard glass package, these window companies offer those as upgrades. This is something to consider when comparing your vinyl window quotes or estimates. The $150 window is very common in multi-family housing (apartments or condos) or if someone is flipping a house for a profit. 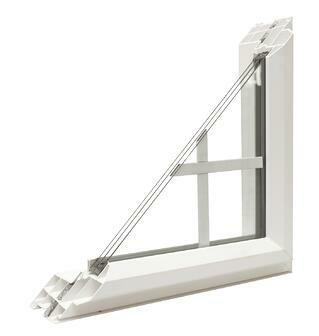 Budget Tip: The most important upgrade to consider in a low end vinyl window is the Low E and Argon filled gas. This is what will give you the energy efficiency to help save on your utility bills as well as provide an increased level of comfort from the windows. Casement (crank out from the side style) vinyl window replacement projects are more specialty than your single or double hung window replacement project. Many of the really inexpensive vinyl lines do not even offer a casement option. 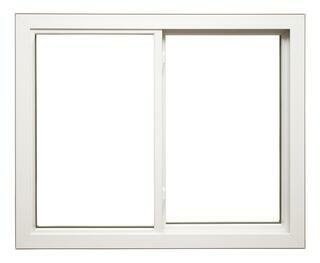 Casement windows can be installed using any of the installation methods depending on your installer and budget. An insert casement vinyl window replacement project will generally start at $600 an opening to $1000/ opening depending on glass packages and features such as laminate vs. true wood interior and hardware finishes. Vinyl casement window replacement projects with a full frame installation method will run closer to $1000- $1500 an opening. A jamb extension (for proper wall depth) will be needed in a full frame installation. These are generally made out of wood which adds cost to the project. The same features listed above once again play into the price of the project. Being that the casement vinyl window is a higher end vinyl option, generally these windows will come standard with Low E & Argon gas but you will definitely want to double check with your window provider. Awnings (crank out from the bottom of the window) & special sizes and shapes generally fall within the same price category as the casement style vinyl windows. These are generally not available in the really inexpensive vinyl brands. Sliding vinyl windows (one side slides to the opposite side) are another style of window unit that is not always available in all lines but is generally more cost effective than the casement or awning style. A sliding vinyl window project will generally fall in the $400-$800 an opening price point. This is a popular option for shorter, wider windows such as those found in 1950 & 1960’s ranches or screened in porches. One other vinyl window style that falls at the top end of the vinyl window lines is the European style, Tilt-Turn window. This style of window is much more common in European countries. These are really big and beefy and more of a custom option. 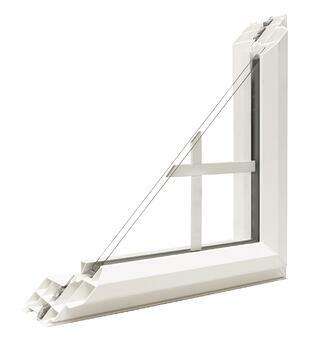 The tilt turn window is an interior opening casement style (opens into the room like a door) but can also be tilted open at the top for less ventilation so it is versatile in it’s functioning. These units are generally installed using a full frame installation method and will cost closer to aluminum clad wood window prices like $1500- $2000 an opening. Due to European standards, these windows typically have very good energy efficiency. With adding triple glass you can get close to an insulated wall efficiency. exterior color choices as well as laminate or true wood interior options. Some higher end vinyl lines also offer a laminate option on the exterior that looks like metal or different wood species. 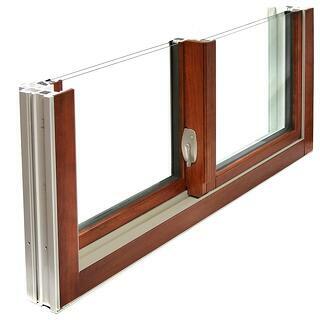 Triple pane glass options for better energy efficiency are another popular upgrade option. Budget Tip: Your ROI (Return on Investment) for upgrading to triple pane glass only makes sense if you plan on being in your home at least 15-20 years. This is how long it will take for the savings on your energy bill to catch up to the extra you paid for the triple pane upgrade. Provia Brand offers a vinyl window line (Endure Windows) with a bronze laminate exterior and a wood grain laminate interior. 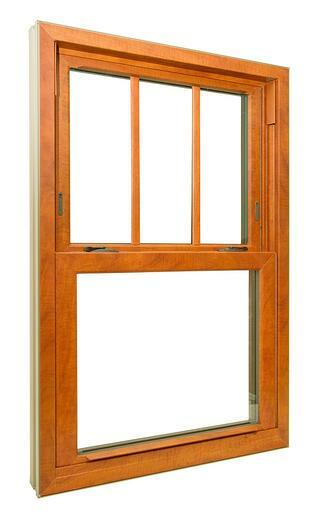 When you combine this window with a full frame installation option, it has the appearance of a true wood window. 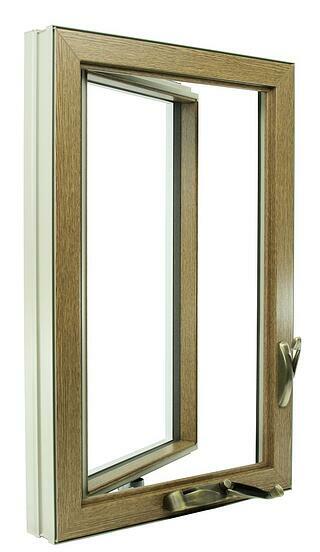 Triple pane glass is an available upgrade for this window as well. The Provia Endure window was also named one of the top windows by Consumer Reports for Energy Efficiency in 2016. This option will cost you around $1000-$1500/ an opening for full frame installation with solid wood jamb extensions. It is not just the material cost that affects the price of a replacement window project. The Installation Method used will also affect the overall cost of the project. Budget Tip: The experience level, training certifications and business type will also affect the price for the installation portion of the replacement project. An installer certified by the manufacturer who has been in business 20 years and offers a written labor warranty is going to cost more than a general service handyman. *A good guideline to follow is to base your installation level on your product selection level. If you are purchasing a top of the line window you will most likely want to go with a certified top of the line installer. If you are looking for the most cost effective window options then a general service handyman is probably a perfect fit. One of the most important things to remember in your replacement window journey is that there is a window option for everyone. Hopefully this series of blogs will provide you some direction and help you determine which product type is the best fit for you! Read part #3 in the series, How Much do Fiberglass Windows Cost?